Many friends and colleagues have wondered why I have not commented on the recent parleys between Prime Minister Narendra Modi and his Pakistani counterpart Nawaz Sharif at Ufa in Russia last week, particularly when the joint-statement issued after their talks were disowned by Pakistani officials within 24 hours. Apparently, the joint statement said that the two countries would revive bilateral talks on all the issues bedeviling the bilateral ties in general and terrorism in particular. The hard reality is that Nawaz Sharif and his ministers and advisers are simply helpless in pursuing any meaningful negotiations with India. For the first time, there was no mention of the “K” word (meaning Kashmir) in an Indo-Pak joint statement. And for the first time, it was decided upgrade the official level talks between the two countries from the level of Foreign Secretaries to that of the National Security Advisors (enjoying ministerial ranks and working directly under the Prime Ministers). But all this seems to have come to a naught, with Pakistani officials now having altogether different interpretations of the joint statement and making it pretty clear that there will be no movement unless the “core” Kashmir issue is negotiated. 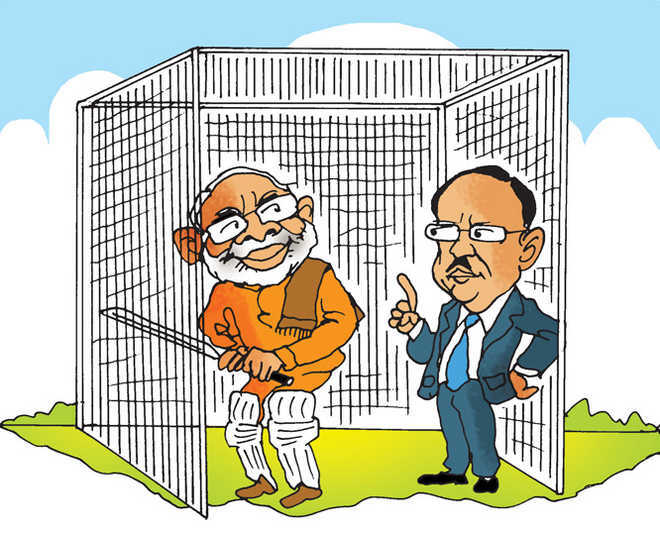 Though Doval was careful to suggest that the relationship was not necessarily “only dependent on [a] single factor”, he did betray the new collective thinking in New Delhi. 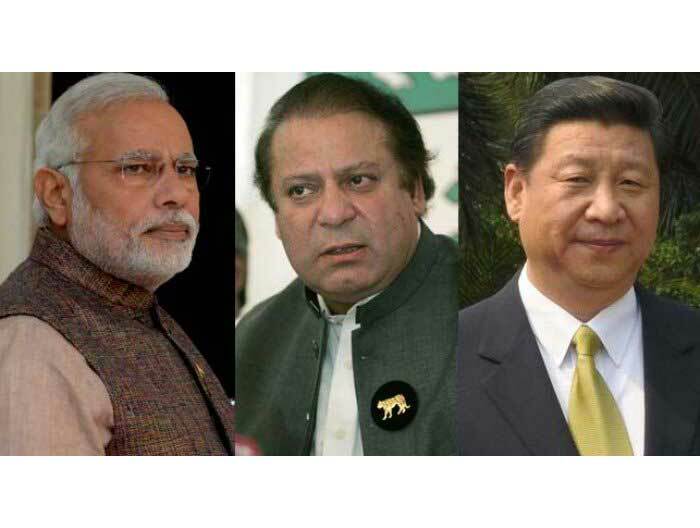 In the new in-house working wisdom it is understood that India’s strategic autonomy and options stand maximised overnight just because we have a maximum leader. Many of the diplomatic tantrums of the past one year can be easily traced to this new internal operational maxim. At the Mercy of the Water Mafia Pumping wells in the dark of night, criminal bosses rule the liquid economy in one of the world's busiest cities. Can anyone stop them? Down by the sandy banks of the Yamuna River, the men must work quickly. At a little past 12 a.m. one humid night in May, they pull back the black plastic tarp covering three boreholes sunk deep in the ground along the waterway that traces Delhi’s eastern edge. From a shack a few feet away, they then drag thick hoses toward a queue of 20-odd tanker trucks idling quietly with their headlights turned off. The men work in a team: While one man fits a hose’s mouth over a borehole, another clambers atop a truck at the front of the line and shoves the tube’s opposite end into the empty steel cistern attached to the vehicle’s creaky frame. “On kar!” someone shouts in Hinglish into the darkness; almost instantly, his orders to “switch it on” are obeyed. Diesel generators, housed in nearby sheds, begin to thrum. Submersible pumps, installed in the borehole’s shafts, drone as they disgorge thousands of gallons of groundwater from deep in the earth. The liquid gushes through the hoses and into the trucks’ tanks. Within 15 minutes, the 2,642-gallon (10,000-liter) containers on the first three rigs are full. The pumps are switched off briefly as drivers move their now-heavy trucks forward and another trio takes their place. The routine is repeated again and again through the night until every tanker is brimming with water. 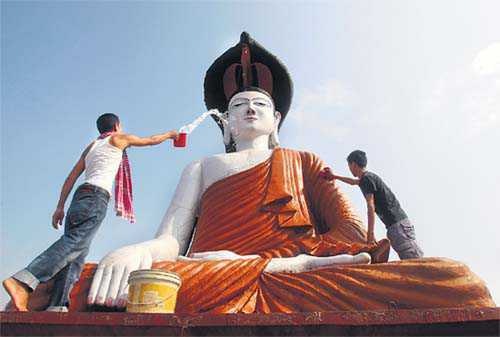 Tourist facilities for Buddhist pilgrims in India are ‘notoriously poor’. FACING growing isolation and hostility from the US and its western allies, Myanmar’s military rulers turned to China for economic and military assistance. With reports emerging of Chinese military bases and monitoring facilities across Myanmar in the Bay of Bengal and Andaman Sea, concern grew in India. I raised our concerns with a senior Myanmar minister. He replied: “You have nothing to worry about. I may go to China for weapons and support, but I have to go for salvation to Bodh Gaya.” Not surprisingly, even when isolated, Myanmar provided no naval bases to China and widened its diplomatic options by joining ASEAN. 'For a long time Pakistan dreamt that India would break up and that it would be the predominant power in the region,' says Colonel Anil A Athale (retd). The Indian and Pakistani prime ministers met at Ufa in Russia on the sidelines of an international summit and decided to resume dialogue. Indians have seen this drama of talks alternated by tensions or a terrorist attack in India so many times that it is difficult to be optimistic this time. Why is it so difficult for the two neighbours to have normal relations? Here is an attempt to clearly outline some underlying factors and realities that are the cause of a troubled relationship. Six of the seven nations in this region are territorial status quo powers, minor border disputes notwithstanding. Pakistan is a revisionist State that seeks to alter the territorial status quo in Kashmir through force (overt or covert) and openly backs separatists there. ISLAMABAD, Pakistan — The Pakistani Parliament, even while stating its commitment to protect the territory of Saudi Arabia, recently adopted a resolution not to join the Saudi-led coalition fighting Houthi rebels in Yemen. Many Pakistanis are worn out by the Taliban insurgency at home and oppose intervention abroad, especially to fight an enemy whose name they are hearing for the first time and risk worsening relations with its backer, Iran. The foreign affairs minister of the United Arab Emirates, Anwar Gargash, blasted the decision as “contradictory and dangerous and unexpected,” accusing Pakistan of advancing Iran’s interests rather than those of its own Persian Gulf allies. Pakistan was choosing neutrality in an “existential confrontation,” he said, and it would pay the price. The Taliban is a predominantly Pashtun, Islamic fundamentalist group that ruled Afghanistan from 1996 until 2001, when a U.S.-led invasion toppled the regime for providing refuge to al-Qaeda and Osama bin Laden. The Taliban regrouped across the border in Pakistan, where its central leadership, headed by Mullah Mohammed Omar, leads an insurgency against the Western-backed government in Kabul. Both the United States and Afghanistan have pursued a negotiated settlement with the Taliban, but talks have little momentum as international forces prepare to conclude combat operations in December 2014 and withdraw by the end of 2016. Interview: Robert Kaplan Journalist and geopolitical analyst Robert Kaplan on the South China Sea, China and Asia’s future. Robert D. Kaplan is a senior fellow at the Center for a New American Security and a contributing editor atThe Atlantic. He is also the former chief geopolitical analyst at Stratfor and was a member of the Pentagon’s Defense Policy Board. He is the author of many books, including Asia’s Cauldron: The South China Sea and the End of a Stable Pacific and the forthcoming In Europe’s Shadow. Following a speech on Asia at the Polish parliament on July 9, he spoke with Rafał Tomański. A shortened version of that interview follows. Do you think that the age of the Asia is coming? I don’t believe that’s that simple. Asia can go through a big shock. If the Chinese economy was to implode – which I don’t believe, but it might happen – Asia would suddenly matter less. Such an implosion of the Chinese economy would affect Asian countries much more than it affects Europe and the United States. You have to remember that power is relative. One can be declining as a power but still have a lot of influence. It’s not going to be really an Asian century. Asian languages may also become more prevalent not as a main ones but as a secondary languages. Excluding the implosion of Chinese economy, what do you think could surprise Beijing most? They seem to expect everything. Humanitarian assistance and disaster relief could offer innovative approach to territorial conflict. China’s extensive land reclamation in the South China Sea poses a challenge to the security environment of the Asia-Pacific. Territorial conflicts are difficult to resolve given complex and deeply rooted sovereignty and historical interpretation issues. However, the essence of the issue is not the Chinese land reclamation itself (many other countries in the region have engaged in land reclamation), but rather the legal and political consequences that could escalate into a security issue, which in turn could destabilize a region that has the potential to drive the world economic growth. No matter how much international criticism it receives, or how much organized opposition it faces in Southeast Asia, China is likely to continue to expand its physical presence in the region. Given the change in the strategic environment exemplified by the economic development of ASEAN nations, China’s growing clout, and the ambiguity of the U.S. rebalance to the Asia-Pacific, regional stakeholders like the U.S., China, Japan, and South Korea must pursue a new and innovative approach to regional peace and stability. The year 2015 is a significant one for Tibet and China. The Dalai Lama celebrated his 80th birthday on July 6, 2015. It also marks the fiftieth anniversary of the establishment of the Tibet Autonomous Region (TAR) by the Chinese communist regime. Though the Dalai Lama continues to be in exile, his birthday was celebrated in several places across Tibet and abroad. In India, two central government ministers for the first time attended the function in Dharamsala in their official capacity. In Delhi, three former foreign secretaries spoke at a well-attended symposium on July 4, while the reception on July 6 evening was also attended by two central ministers. Both functions were organised by the Dalai Lama’s Delhi Bureau. In China too, the issues of Tibet and the Dalai Lama have received perceptibly increased attention over the past couple of years. Recent reports filtering out of Beijing suggest that the Tibet Work Forum, usually held every four years, is likely to be convened in August or September this year in Beijing. The Chinese Communist Party Central Committee’s (CCP CC) United Front Work Department (UFWD) convenes such work forums separately for Tibet and Xinjiang almost every four years. The work forums are the highest-level body where the CCP CC’s Politburo Standing Committee (PBSC) deliberates and decides on policies, budgets and plans for the Autonomous Regions. Preparatory work for the Tibet Work Forum appears to have begun with the Central Work Conference on Ethnic Affairs held in Beijing on September 28-29, 2014 and attended by all members of the PBSC except Zhang Gaoli, and leaders of every province and the People’s Armed Police. Later on April 14, 2015, China’s State Council Information Office issued a white paper titled: ‘Tibet’s Path of Development Is Driven by an Irresistible Historical Tide’. This is the thirteenth white paper on Tibet issued so far since the 1990s, and highlights the importance of the Tibet issue for the Chinese Communist Party (CCP) leadership. In contrast, only one white paper has been issued for the Nei Mongol Autonomous Region and only two for the restive and troubled Xinjiang-Uighur Autonomous Region. The crash in Beijing's stocks and prospects of a prolonged slowdown have worrying consequences for the region. On the eve of the Shanghai Cooperation Organisation and BRICS summits in Russia, on July 8, Xi Jinping and Vladimir Putin stood side by side, hailing the rise of new forces in the world and calling for “a more democratised” – read less American-dominated – world order. The Chinese President listed the new, ambitious economic projects backed by his government, from the $50 billion BRICS New Development Bank and the $100 billion Asian Infrastructure Investment Bank to his pet “Silk Road” initiative – a push to connect China with Central and Southeast Asia. If Xi commanded the world’s stage in Russia, things at home were looking a lot less rosy. That same day, China’s economic planners – in the absence of the experienced central banker Zhou Xiaochuan, who was accompanying Xi in Russia – were in crisis mode. The previous day, the benchmark Shanghai Composite Index had plunged eight per cent. From a high of 5,166 on June 12, the market had fallen by as much as 32 percent, wiping out in three weeks close to $3.5 trillion – double the value of India’s entire stock market - and leaving uncertain the fate of 90 million Chinese investors. In May this year, the Chinese Ministry of National Defense released its latest defense white paper, titled “Chinese Military Strategy.” The document underlines Beijing’s nuclear ambitions and strategy in the overall context of the preparation for military struggle (PMS), the basic military practice safeguarding peace, containing crises, and winning wars. Nuclear force plays an integral part in Beijing’s military strategy and hence, the white paper did not miss out on an opportunity to highlight China’s nuclear force as a strategic cornerstone for safeguarding national sovereignty and security. The document stresses how the People’s Liberation Army Second Artillery Force (PLASAF) is placing emphasis on both conventional and nuclear missiles, even for precision long-range strikes. The Chinese government maintains that it is developing capabilities to maintain strategic deterrence and carry out a nuclear counter-attack. With a ‘no-first use’ doctrine, the white paper identifies this retaliatory capability as ‘counter-attack’ rather than ‘second strike’ capability. This leaves less confusion in the minds of adversaries on China’s adherence to its ‘no-first use’ doctrine. — Hugh Roberts’ comment about Syria, but applies as well to America. Damascus was the seat of the Umayyad dynasty, established by a clan of the Prophet’s tribe to rule the first Islamic empire. Syria is where, in 1516, the absorption of the Arab world into the Ottoman Empire began, with the Ottoman victory in the battle of Marj Dabiq; where thenahda, the cultural renaissance of the Arab world, blossomed in the 19th century; where the unified Arab kingdom that the British promised the Hashemites, who led the 1916-18 Arab revolt against the Ottoman Empire, was to have its capital. It is where, in the aftermath of the Second World War, the most politically developed and socially radical version of the dream of Arab unity was conceived by the founders of the Arab Socialist Baath (‘resurrection’) Party. Syria is also the terminus of the Arab Spring. After plunging Syria into five years of a bloody civil war that has killed 300,000 and displaced 10 million, Bashar al-Assad is preparing for the endgame. He has been digging a bunker for himself, creating an enclave in the mountains around the coastal city of Latakia where his community, the Alawites, are in a majority. The Iranians are helping him set up this new retreat, but his hope of hanging on to Syria is dying. The question being asked in the region is not whether he’ll survive, but who will run Damascus once he falls — and what will happen should the country be split along ethnic and sectarian lines. When considering the future, Syrian moderate rebel groups don’t feature much in the equation. They have little standing in the pecking order because the US and the Arabs have failed to support them. Ash Carter, the US defence secretary, stunned the Senate last week when he admitted that the Pentagon had trained just 60 moderate Syrians to fight Isis — a far cry from the planned 5,400 announced last year. Meanwhile, in Iraq, the contingent of 3,500 American soldiers dispatched to train the Iraqi army have ended up training only 2,600 Iraqi soldiers. This is clearly no way to win a war — either against Isis, or the Assad regime. The Kurds are one of the world's largest peoples without a state, making up sizable minorities in Iran, Iraq, Syria, and Turkey. Their history is marked by marginalization and persecution. Yet some Kurds may be on the verge of achieving their century-old quest for independence in a Middle East undergoing the convulsions of Syria's civil war, Iraq's destabilization, and conflict with the self-proclaimed Islamic State. The Kurds are one of the indigenous peoples of the Middle East and the region's fourth-largest ethnic group. They speak Kurdish, an Indo-European language, and are predominantly Sunni Muslims. Kurds have a distinct culture, traditional dress, and holidays, including Nowruz, the springtime New Year festival that is also celebrated by Iranians and others who use the Persian calendar. Kurdish nationalism emerged during the twentieth century following the disintegration of the Ottoman Empire and the formation of new nation-states across the Middle East. Here’s what I told the House Foreign Affairs Committee. It’s not encouraging. 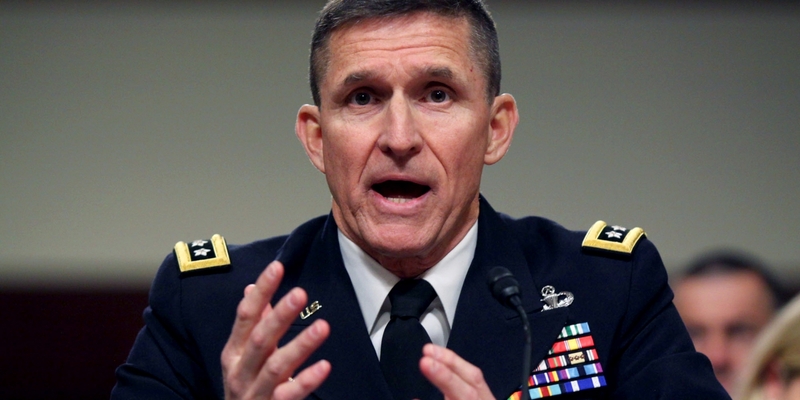 Flynn, who in 2014 was forced out as head of the Defense Intelligence Agency, has in recent months become an outspoken critic of the Obama administration’s Middle East strategy, calling for a more hawkish approach to the Islamic State and Iran. Cyberwar is currently a hot topic of discussion and debate, much of which is potentially damaging. The term “cyberwar” is too frequently casually bandied about for dramatic effect, to instill fear, or exaggerate or obfuscate grim realities. Stiennon then, unlike too many cyberwar commentators, adopts a constrained definition of the term and leads the reader on a measured, persuasive explanation of how the move to network-centric war fighting has set the stage for cyberwar. In contrast to Stiennon’s carefully considered approach that provides a definition and methodology, much public commentary is merely banter about cyberwar,” without definition of the term and with distortions in its application, up to and including the fantastic and fictionalized. To the detriment of informed public debate, “cyberwar” is not a defined term of art in law or legal convention. Rather, traditional law of war concepts are applied to cyber “issues” or more precisely, cyber operations. While the lack of normative guidance on the conduct of “cyberwar” may be self-evident to scholars in the field, it is not to the public. It is important for the public to begin to grapple with the intricacies of the law of war as applied to cyber operations. Not everyone fighting in the next world war will look like a soldier wearing an official military uniform. Some will work from computer consoles to infiltrate military networks. Others will become insurgents who strike swiftly at vulnerable targets and then vanish within the civilian population. Still more will carry military weapons and fight like trained warriors, but won’t wear the national flag of any particular country. And a few may take advantage of the chaos of war to kill for their own purposes. The U.S. financial sector is a major target for global cybercriminals. Cybercrime is a growing industry around the world imposing significant costs on firms that fail to implement adequate safeguards. Regulators are taking notice of the increased risk of cyber threats. While statutes and regulations in the financial sector have not directly addressed cybersecurity, many impose implicit requirements on firms to secure their information technology (IT) systems in the name of operational assurance, data protection, and accurate reporting. To demonstrate compliance with this complex web of requirements, firms have turned to standards frameworks that outline effective cybersecurity systems and best practices. This report discusses the rules and frameworks that have shaped the cybersecurity standards employed by major financial institutions in the United States. Download PDF file of "The Evolution of Cybersecurity Requirements for the U.S. Financial Industry"
LONDON — For decades, Germany saw its role as the financier and beneficiary of European unity, a combination of penance for the past and self-interest. The rest of the Continent came to rely on it as the country that could be trusted to keep its great experiment moving forward. But with its handling of Greece’s bailout package, Germany is at risk of losing that trust, some European analysts say. By taking what sounded to many as an aggressive, punishing, contemptuous tone toward Greece, the German leadership may have undercut its moral authority, they say. And by floating the notion that Greece might be better off leaving the common currency, Germany displayed its national interest more nakedly than in the past and made it clear there are limits to its willingness to put European unity first. 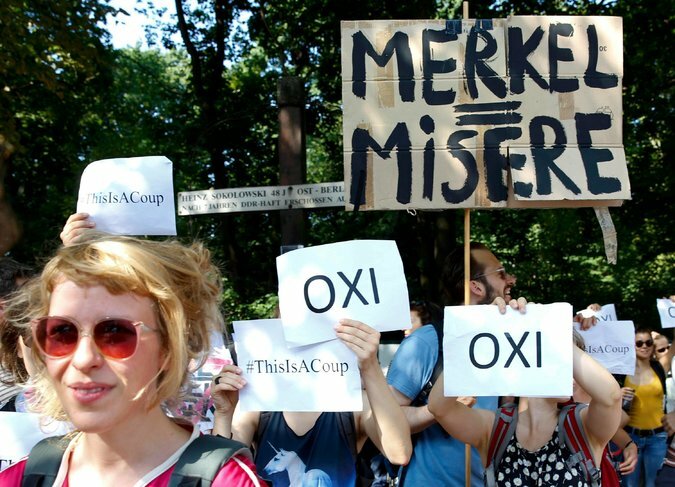 The German Parliament assented on Friday, with a bit of grumbling, to negotiations on another large bailout for Greece. But ChancellorAngela Merkel and her finance minister, Wolfgang Schäuble, have appeared as unenthusiastic about the deal as the Greeks. A vote in the Greek parliament means little to Germany’s finance minister,Wolfgang Schäuble. The self-appointed guardian of the EU’s financial rulebook says Athens can vote as many times as it likes in favour of a deal that promises, even in the vaguest terms, to write off some of its colossal debts, but that doesn’t mean the rules allow it. In fact, as Schäuble delights in pointing out, any attempt at striking out Greek debt is, according to his advice, illegal. Yet Schäuble knows Greece’s debts are unsustainable unless some of them are written off – he has said as much on several occasions. So faced with its internal contradictions, he posits that the deal must fail and the poorly led Greeks exit the euro. As a compromise, he repeated his suggestion on Tuesday that Greece leave the euro temporarily. Those who care more for maintaining the current euro currency bloc as a 19-member entity immediately spotted this manoeuvre as a one-way ticket with no way back for Greece. The Austrian chancellor, Werner Faymann, a centre-left social democrat, said Schäuble was “totally wrong” to create the impression that “it may be useful for us if Greece falls out of the currency union, that maybe we pay less that way”. HAIFA — Political imagining of the future is often a thinly disguised exercise in reflection upon the present. What else can it be? But before I share my ideas of the sort of Israel, or rather the sorts of Israel, that might emerge from today’s intricate matrix, let me dwell on the future’s most obvious quality: unimaginability. As a writer and a historian, I know that storylines do not develop the way we expect, neither in life nor in fiction. There are too many unforeseen factors, overlooked seeds, unintended consequences. There is too much serendipity. A decade from now we may be living in a bee-less, honey-less, nutrient-impoverished world. Or in a world helplessly watching its adolescents become monkish addicts to online gaming. Or in a world where the rich will buy technology enabling them and their genetically upgraded children to outlive the poor of their own country by four whole decades. Wars could be fought about on-screen icons or stolen intellectual property. Heads have started to roll after the director of the Office of Personnel Management (OPM) resigned Friday, but the aftermath of the agency’s massive data breach are far from over. The breach was one of two OPM experienced since 2014 — one involved the loss of over 4 million Social Security Numbers, and the other exposed 21.5 million government background check records used for security clearances. Both breaches have been linked to the Chinese government. China has held onto the seized employee data for a year, and there is no evidence the stolen data has been used. Information from typical breaches involving private companies, such as social media or retail sites, are used for phishing scams or financial gain. However, the agency’s breach points more toward political leverage than identity theft for profit. Japan, a country that swore off offensive warfare after World War II, took its first step down a very different path Thursday by passing legislation giving its military the power to engage in combat overseas. That’s something the Pentagon has wanted for years, and it could be very good news for U.S. defense contractors. In January, the government of conservative Japanese Prime Minister Shinzo Abe endorsed a defense budget of nearly 5 trillion yen, or $42 billion, continuing a three-year growth trend after nearly a decade of decline. The sum still represents a small portion of Japan’s GDP — it accounts for just one percent of it, according to the World Bank — but because offensive military action is prohibited by Japan’s constitution, even a modest increase is controversial. Protesters rallied against the shift outside parliament Wednesday, the night before 11 controversial security-related bills were pushed through that will give Japan’s military the power to engage in more than just defensive actions. The Indian Army rejected the DRDO's INSAS assault rifle in 2010 due to its all-round inefficiency. Now the army is being forced to accept DRDO's Excalibur rifle, which is basically an ungraded variant of the INSAS rifle, to make up for a severe shortage of small arms. The Indian Army's recent decision to induct an indigenously developed assault rifle follows yet another instance of its failure to import one, after formulating unrealistic Qualitative Requirements for a weapon system that is simply non-existent. On June 15, the army scrapped its December 2011 tender to procure 66,000 multi-calibre assault rifles, opting instead for the Excalibur assault rifle, designed by the Defence Research and Development Organisation. The Excalibur is unlikely to emerge by 2017-2018 as an enchanted weapon system. For, once developed, it will merely be an upgraded variant of the DRDO's 5.56 x 45 mm Indian Small Arms System assault rifle, which the army has rejected. Exercise MALABAR, which initially began as a bilateral naval exercise between the United States and India back in 1992, has at times been expanded to include other partners as well. The 2007 iteration included Japan, Australia, and Singapore, while Tokyo also participated in 2009 and 2014. This year, Japan has been included but Australia has reportedly been left out. These military leaders knew that sometimes you have to break protocol to be successful. But there’s a time and place to break the rules. Here are five examples of military leaders who broke the rules, got away with it, and most importantly, made the world a better place. 1. Jim Gavin de-segregates the 82nd Airborne Division. Members of the 555th (Triple Nickel) Parachute Infantry Battalion are briefed before takeoff from Fort Dix in New Jersey in 1947.When the 82nd Airborne Division returned to Fort Bragg, North Carolina, after the Second World War, they met up with the 555th Parachute Infantry Battalion. The 555th, or “Triple Nickel,” was comprised entirely of African-American paratroopers who had spent much of the war on the homefront battling forest fires. The 82nd Airborne’s legendary commander, James “Jumpin’ Jim” Gavin, thought the men of the Triple Nickel were in tip-top shape. Unfortunately, the same couldn’t be said for their living conditions: tar-paper shacks and wooden dormitories over a mile from the division area. If you fear spiders, your reaction to a spider in your house may not be proportionate to the threat. While you may be tempted to burn the house down to kill a spider, the majority of spiders are not venomous to humans. Fear can paralyze your ability to react appropriately. If there is one thing we fear most in the military: it is failure. Failure in war is unacceptable, for good reason. Failure in battle means that people died and the purpose for their sacrifice was not accomplished. An organization that fears failure is limited by what it believes it can accomplish, constrained by an unwillingness to confront challenges, and inhibited in its ability to adapt to complex dilemmas. Okay, you’re thinking, “Except in Vietnam, Iraq, and probably Afghanistan next,” or you’re thinking, “We never lost a battle; Vietnam and Iraq were lost because [fill in the blank].” These two viewpoints represent competing narratives on 50 years of U.S. military performance. As an organization, we tend to prefer the latter, because it rationalizes away failure by placing blame at the political level. But, if we deflect the blame, we fail to learn from our own mistakes. An Army captain shares his insights after observing the U.S. Army Cadet Command’s summer training course for ROTC cadets. Tactical competence is not the primary desired outcome of the Reserve Officers’ Training Corps. However, tactics are used as a vehicle to exercise critical thinking and problem solving, to develop adaptability and initiative, to practice teamwork and collaboration, and to build all of the other 21st century soldier competencies that do comprise our primary desired outcomes. Therefore, we must have a recognized baseline level of tactical competence before cadets reach the most important developmental milestone in their cadet careers, the Cadet Leadership Course — a 29-day course completed in the summer prior to a cadet’s final year of ROTC. There are issues with training creative and innovative thinkers before they have a foundational understanding and demonstrated application of their most basic tasks. Maj. Gen. Peggy Combs, the commanding general of U.S. Army Cadet Command, has explained, in briefings to cadre emphasizing the importance of officers who can demonstrate flexible and adaptable thinking, that one cannot think outside the box if one does not know what is in the box; this is absolutely true. Unfortunately, Cadet Command has the daunting task of standardizing education across more than 270 host programs around the country, all staffed with cadre who have varying degrees of expertise themselves, as well as, sadly, varying degrees of motivation to enforce standards and truly train and inspire the leaders of tomorrow. I spent hours mastering writing when I left the Marine Corps. It was a vehicle for career success in amazing ways. Though I love reading history, just learning about the past was never enough; I also wanted to learn a marketable skill. I wanted to learn how to write with velocity and punch. I wanted to explore radical ideas and then record my own ideas on paper, and if possible, do it with style. From your uncle’s cabin to the guy wearing skinny jeans, PBR’s brand strategy shows us how quickly ideas can spread.